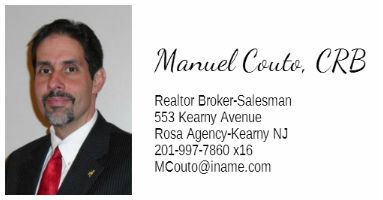 If you need additional information about home staging to sell your home quickly in Kearny, New Jersey, contact Rosa Agency and I'll clue you in to the fastest ways to sell your house. Careful home staging is a tried and true technique utilized to sell a house here in Kearny, New Jersey. Some advantages to home staging include less time on the market and higher bids. And you should certainly consider professional home staging if you need a quick home sale. Staging your home in Kearny is all about selling a lifestyle. You want buyers to envision themselves living and lounging in your house. You want them to see your current house as their future house. Begin with the exterior of your house, also called your curb appeal. Look at the exterior of your house from the view of a passerby. What do you notice first? What would've-been-eye-catching characteristics seem hidden?Acknowledging this helps us to choose what measures we can take to entice buyers from the street and into your house. 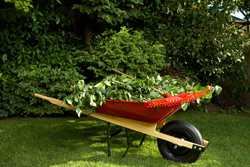 If your home's exterior isn't up to par with touched up paint and blooming greenery we'll need to tackle those as well. Refer to the Curb Appeal Checklist and boost your home's final selling price. Does your home seem to say, "This is Your Next House" to a buyer? Examining your property with a critical eye, I'll suggest changes that improve sales appeal. I'll tell you put out of sight anything that gives the look of clutter. Tabletops should be cleared off. Brick-a-brack, souvenirs, family photos, and play time works of art should get moved out of sight. You need to "generalize" the house so buyers can perceive it as their new home. Buyers' agents know that their clients want to see a house that charms them. Items that could be uninviting should go into storage so that your house will garner mass appeal during any visit. In every opportunity, we're doing well if we're engaging the buyer's senses. Brightening up your interior is of major importance, so we'll do things like open curtains and change light bulbs where needed to welcome the buyer. Together we'll enhance the mood of the house with enjoyable music to listen to while guests experience your home and ensure a delightful scent circulates room-to-room. We'll add cozy-looking bedspreads, and place pillows on your chairs and bed. We want buyers to feel like your current home has the potential to be.